Hi guys. I haven't posted here for a long while. 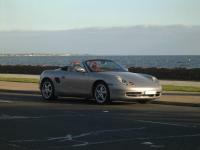 I still have my 1997 Boxster (tiptronic, RHD) and it has been surprisingly reliable the last few years (hence my absence on the forum I guess). Many years ago, I remember someone either here or from Europe was able to source and sell brand new factory sports suspension replacements (M030, RoW) for the MY97 Boxster. Does anyone know who this was from? Or if that's you? I am probably due for some new struts, hence the ask. Thanks. I haven't been visiting the forum for a while now. We are talking EEPROM reader/writers now? That's some serious tweaking in my mind. Well done. passenger side mirror, Australian car, flat or convex? Here are the prices on eBay for anyone interested. They seem quite cheap. Anyway, I was happy enough with the old mirror and don't really want to have to get used to something too different. Auto dimming mirror is an entirely different beast, right? I mean, much more expensive and requires new wires to be sent via the door harness.... that would be an upgrade though... I did my rear view mirror a few years ago with an Audi auto-dimming part. Works very well. is this a window regulator problem? The part number needed for the male of the connection is 999 652 571 22 You can find replacements from electronic hobby stores. Search for 2.5mm OD crimp pins or similar terms. Just as a PSA, I think TP made a mistake with the part numbers. I keep receiving sockets (female) from the dealer when I order what is supposed to be the pin (male). Looking at the service bulletin again, the correct male part of that wiring connection is 999 652 571 22. Both part numbers TP listed were female, perhaps with different length to the sockets. It took me multiple phone calls and lots of head scratching at the dealer to figure this one out. Hi Paul. I am guessing the last guy broke the metal on the frame because he used a metal joiner rather than the plastic OEM unit - which are known for breaking. And so some people have created the metal ones to prevent it from happening. The thing is, the plastic is designed to be a deliberate weak point in case there is something wrong with the top mechanism - usually dyssynchronised operation (left vs right). This can happen if any of the clips on the clamshell comes lose and things don't move about in the way they are designed to. I imagine if the plastic joiners don't let go, the metal on the frame does, as did in your car with the previous owner. Anyway. There should be no danger of causing the same if you use those plastic joiners. Also, if you "over press", the top transmission should just run out of teeth - again a safety mechanism. The gears inside the top transmission is a half circle rather than a full circle. So over press results in the transmission disabling itself. It's a pain in the arse to resynchronise as you will need two people - one to press the top switch while the other pulls on both top transmissions to get the gears to engage at the same time. I think the light is staying on because the clamshell is bent out of shape over time - you can try "flattening" the clamshell so that when it closes, it pushes down the contact switch earlier. Or you can just use a piece of foam under the clamshell to push on the switch earlier, like kbrandsma suggested. I personally have a piece of foam stuck there and it's been functional for the last 7 years. Digging up this thread. Loren, do you know what size those male pins are? I have a broken one from corrosion. I have tried the Molex connectors from a 4-pin computer lead but those are too small. Yep, sure enough, a broken connector at the bottom of that cluster of connectors going to the door, due to corrosion from long term weathering. Thanks to the OP of that thread. I compared the connector (the male part is broken) to a computer 4-pin Molex connector. The car's connector is bigger. Does anyone know what specification the connector is? I know the poster in that thread said it's the same as his remote control toys connector but that doesn't exactly help as to what I should buy. Thanks. Just as a PSA, the problem wasn't the regulator. It was the window motor. Anyone finding this thread in posterity take note. The motor wasn't turning over even though it was making a whirring noise when the switch is pressed. I guess I was lucky. It's in the fully closed position and I park it outdoors. Loren, after all these years, you are still here. A lot of the old timers seemed to have moved on from the forum. Is TP still here? I found a youtube video that describes the process very well. Hi Paul. Thanks for the reply. I actually I stopped checking the forum here after a few days when nobody replied. Hehe... Yeah, I have already ordered the regulator and I will put it in next week. Hey guys I have searched the forum and have come to the conclusion that I have a problem with the window regulator. But before I go ahead and buy the regulator assembly, I just want to make sure that's what this is. My driver side window just suddenly failed. It is stuck in the fully up position. It doesn't drop with internal door handle pull, or external door handle pull, or unlatching of the convertible top. If I press the window button, I hear a whirring noise from the door, but the window doesn't drop. Does this sound like a broken window regulator problem? Thanks.